Highlight: Scored his first ever goal for the Wanderers against Brisbane Roar in Round 7, Season 2013/14 on 22/11/2013. Highlight: Scored the first ever goal for the Wanderers in the Asian Champions League, with his 1st minute strike against Ulsan Hyundai on 26/02/2014. Highlight: Scored a hat-trick against Melbourne City in Round 24 of the 2016/17 A-League. Description: An experienced forward known for scoring spectacular goals. Santalab started his career with Parramatta Power, and now returns to Parramatta to continue with the Wanderers. He also played with Tony Popovic for Sydney FC. He has been a stalwart figure for the Wanderers, leading the line & scoring regularly for his side. Having accumulated a club record for A-League goals he departed the Wanderers in the wake of the Gombau sacking & appointment of Markus Babbel. club could have offered him low to minimum wages. he certainly offers more than the likes of mahazi and scott. i think the club kinda messed up not keeping a senior player who is a leader around a team without a manager. easy to say in hindsight though. with a struggling Riera and no yeboah or bridge at the start of the season he may have had more opportunity, who knows. At the end of last season, Santa was seen as the player who was struggling, not Riera. Please also remember Santalab did not play a game until December this season because of an injury. Santa is retiring at the end of the season, and I hope for his sake he gets some silverware. Would love to see him back at WSW in a non playing role, but not sure if that is possible after his exit. If there is a player that deserves some silverware it has to be Brandon. He gave 100% and you could tell that after every game he had nothing left in the tank. 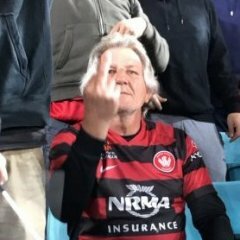 Not sure what was the story with his exit from WSW but as a fan would love to see him back at the club in some capacity.